Background: Dr. Brooke Seckel is a Harvard-trained, board-certified plastic surgeon specializing in breast augmentation, rhinoplasty and eyelid surgery, who has had a thriving Boston-area plastic surgery practice for more than 20 years. He has always been directly involved in the marketing of his practice and is highly skilled and knowledgeable about Internet marketing. Up until recently, he personally conducted his own online marketing efforts, including writing dozens of articles for his website and blog, and interacting with numerous online communities. Dr. Seckel was one of the first surgeons to achieve Top Doctor status on RealSelf. Problem: Despite all of this direct effort, Dr. Seckel’s website languished, with average traffic and poor conversion. He decided to pay a local web development company a significant sum of money to upgrade his website and take advantage of the work he had done. 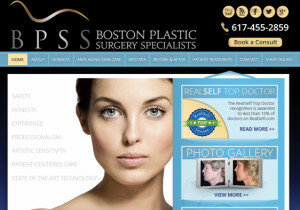 The company had no experience in elective health care and struggled with the highly-demanding task of marketing a plastic surgery practice in a competitive market like Boston. Dr. Seckel was also becoming increasingly concerned about any potential exposure his site might have to the Google penalties – Panda and Penguin. Solution: Ceatus personnel had been in touch with Dr. Seckel and learned that he would be present at the major search engine conference MOZ Con, where Ceatus personnel would also be in attendance. Dr. Seckel was able to meet personally with senior members of Ceatus’ SEO and online marketing team and decided to turn over the reins of his online marketing efforts. Enter Ceatus – Problem Solved. Ceatus quickly transformed Dr. Seckel’s website to take advantage of the tremendous content development work he had carried out over many years. The site was restructured and redesigned for two purposes: 1) to make it Google-friendly and 2) to greatly increase conversion. Within months his website traffic and leads skyrocketed. Traffic to his website more than quadrupled. See the graph below. Dr. Seckel is very happy he turned to Ceatus to manage his online marketing efforts. See his Google Review below or click here.